We're under way. Don't forget, the next page will go up this Friday. 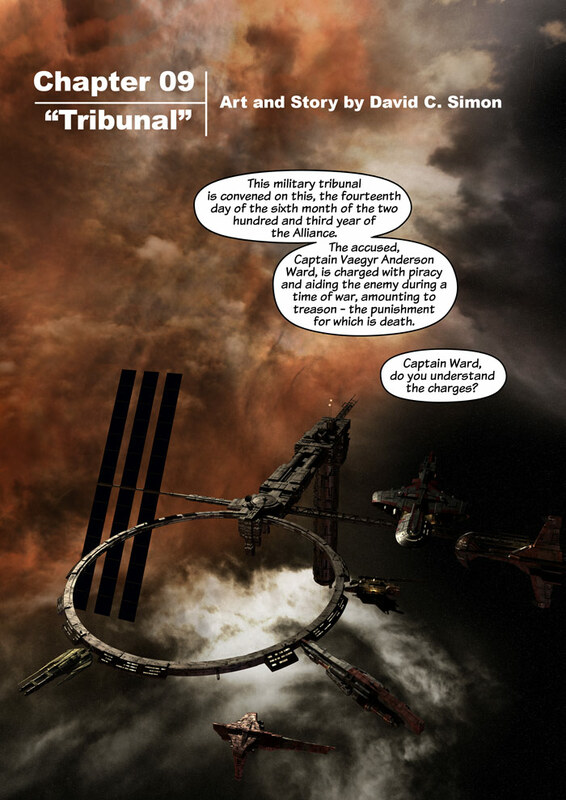 The Cirin Alliance abandoned the earth-centric calendar used by most nations during the war for independence. Officially they returned to it after the Alliance became a protectorate of the United Terran Coalition, but in practice the Alliance decided to stick with their calendar based on the solar cycles of Cythera, their capital world, rather than some obscure little blue-green planet which no-one with any taste would even visit, let alone live on. Since the outbreak of war against the Republic, the Alliance has again officially abandoned the UTC calendar and returned to their own. Are any of you playing the Star Trek Online open beta? No, of course not. What on earth could make me think that my readers might like Star Trek and enjoy playing computer games? I mean, none of my readers are nerds, are they?